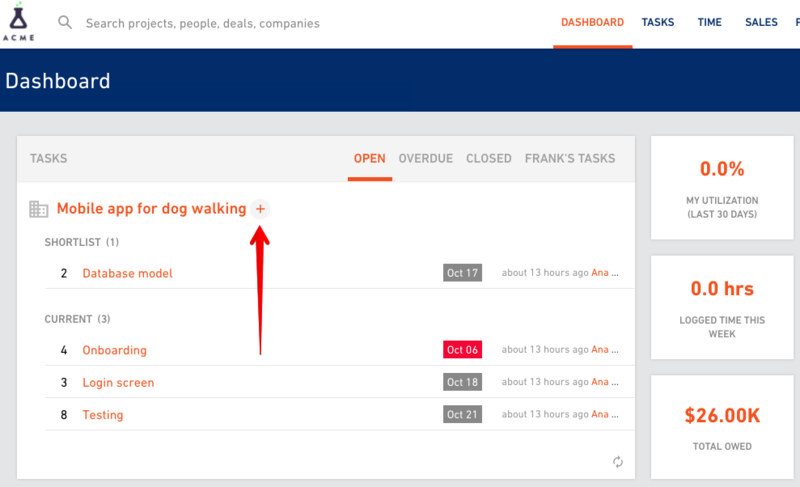 You can add tasks in many ways, directly from task lists (in line) and also assign people to tasks in the same time. Tasks section is the place where you can find the list of all the tasks assigned to you or you can create filters to get a list of overdue, closed or your co-workers tasks. This is also where you can quickly create new task without switching to Projects. Go to Tasks in the main navigation. You’ll notice there’s a “+” button that opens a form for adding a new task. … and the rest is the same just as it is when you add tasks in the Project section. Hover over a project name and you’ll see a small “+” buttons appear. You can add new tasks to a project or a task list directly. This is even faster because you’ll skip selecting a project from the dropdown menu. You can also create and assign tasks to people quickly without going into a task. All you have to do is @mention somebody while putting in the name of the task. Do you have a widget with open tasks on your Dashboard? Look for a “+” button next to a project name and add tasks there as well. … and see all of your tasks for a particular month. You can also see your coworker’s calendar. Pop open the Filters drawer on the left. Create a new filter if you don’t have one already and your coworker’s tasks will be shown in calendar. 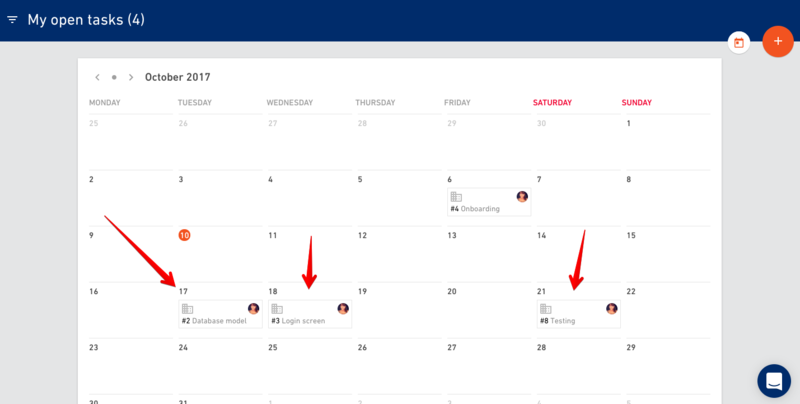 And one other thing - you can quickly add new tasks using the calendar view as well. 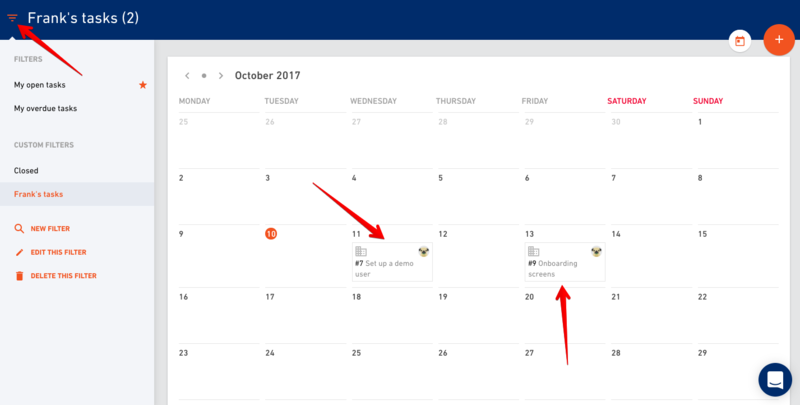 Hover over a date and look for a “+” button.